1. 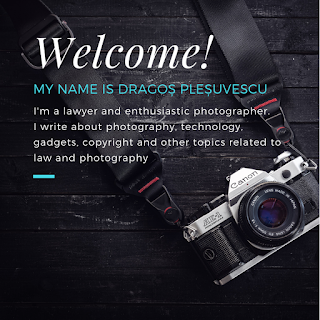 Confirm that the camera is not connected to the computer, and then set the camera's power switch to <OFF>. 2. Connect the USB cable to the Camera digital terminal. Use only the provided Canon USB cable. 3. When connecting the USB cable, use the provided cable protector (using the cable protector prevents the cable from accidental disconnection and the USB terminal from getting damaged). Do not use a USB 2.0 cable equipped with a Micro-B plug. It may damage the camera’s digital terminal. 4. Remove Wi-Fi Canon W-E1 (if present) from the SD Slot. 5. Set the camera's power switch to <ON>. Now the computer should recognize the camera. 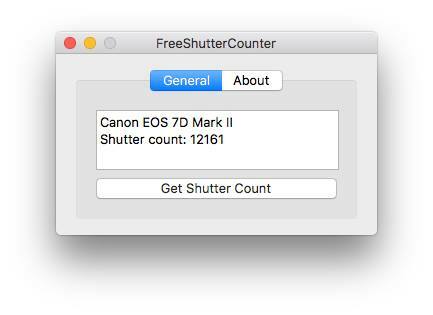 In order to get the Shutter Count, I used FreeShutterCounter (mac OS application). I've also tried Canon EOS Digital Inflo (Windows), but this app does not retrieve the shutter actuations on Canon EOS 7D Mark II with the latest firmware).